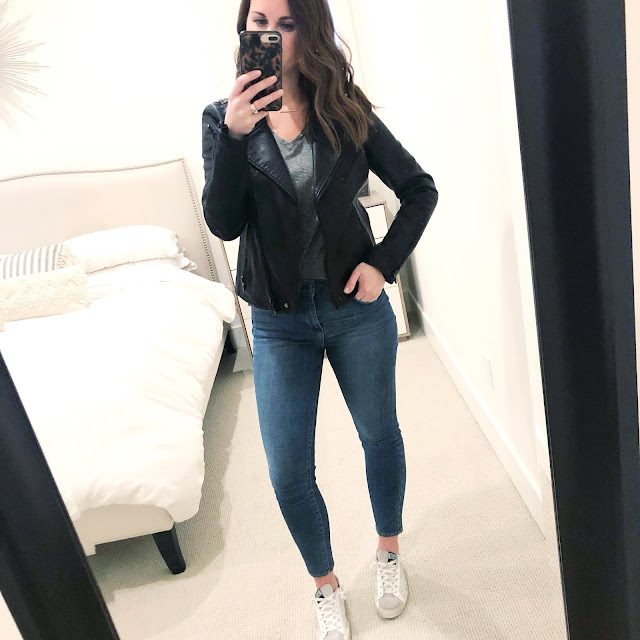 jillgg's good life (for less) | a west michigan style blog: 6 ways to style a MOTO JACKET! 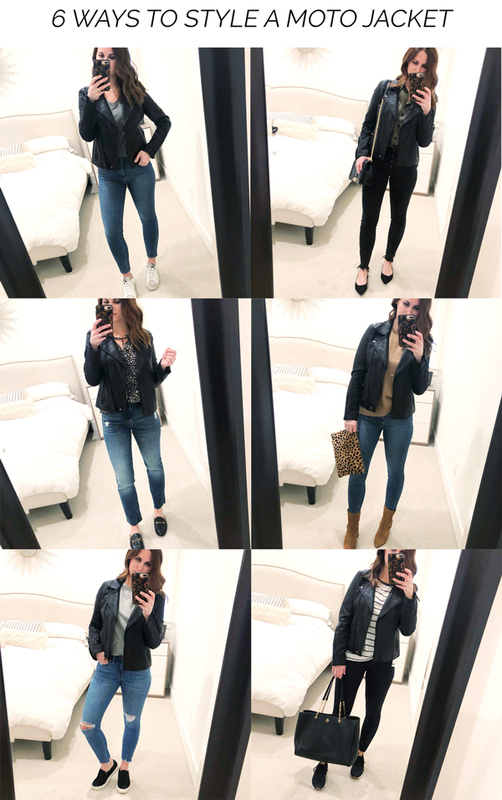 6 ways to style a MOTO JACKET! My "six ways to style" continues today with the MOTO JACKET! 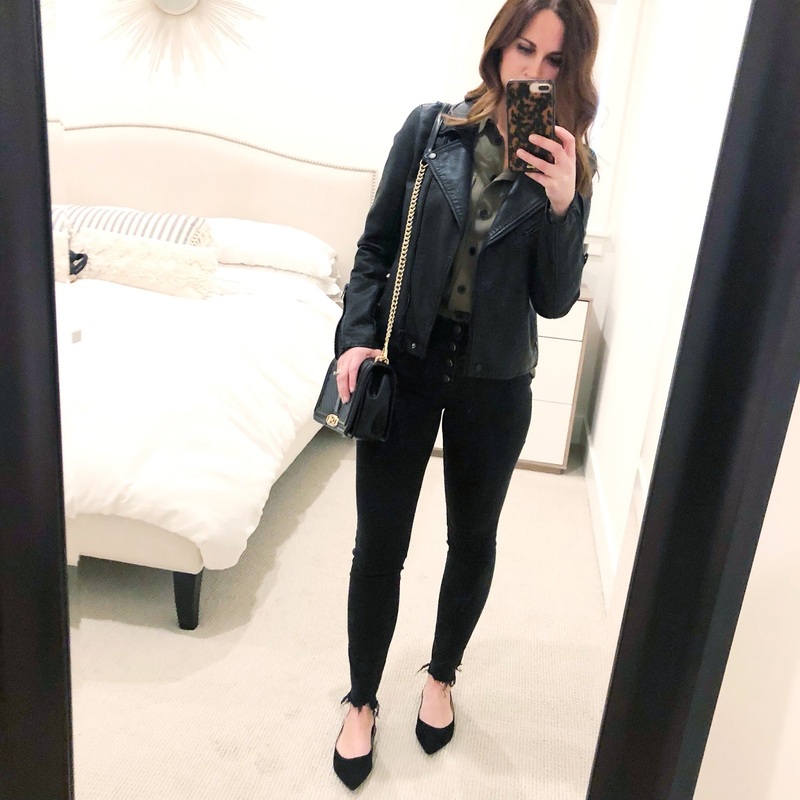 So far I have styled Spanx leggings and a chambray shirt 6 ways... if you haven't seen those posts yet, make sure to check them out! 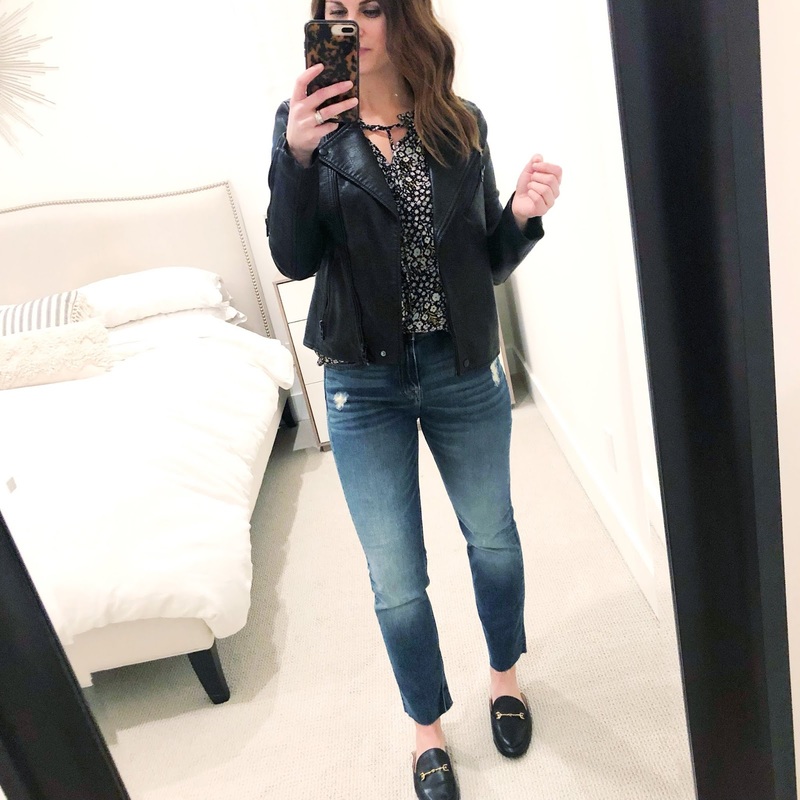 This series is a fun way to showcase the versatility of a wardrobe piece and how to shop your closet to take simple wardrobe basics and make them WORK for you in your closet. I've always been a firm believer that the basics are what make or break your wardrobe. Having lots of wardrobe staples on hand can help make getting dressed SO much easier. 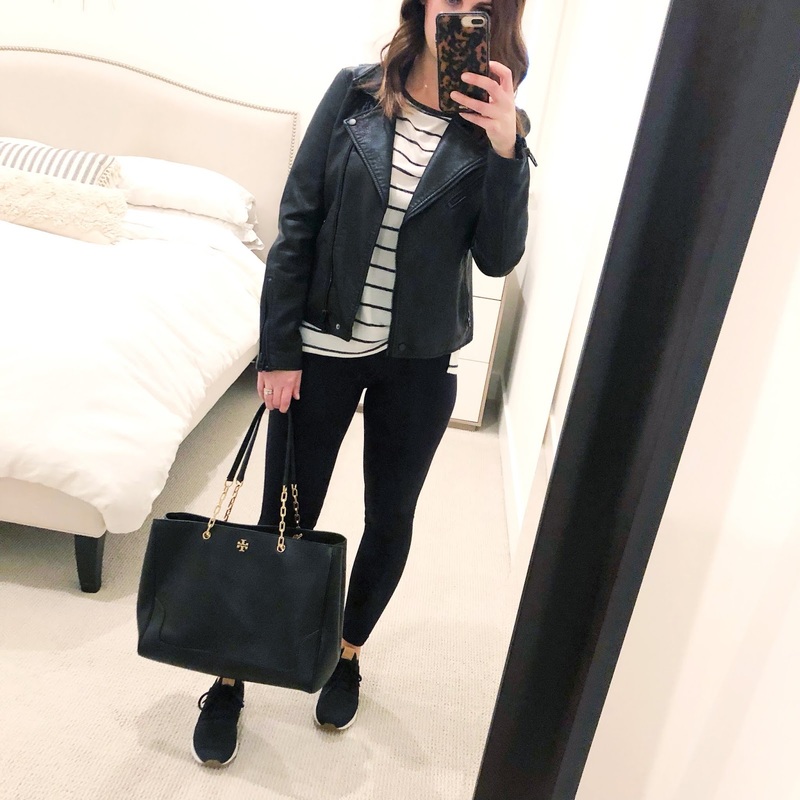 There's no need to overcomplicate your wardrobe - basics mix and match so easily and make getting out of the door quickly while still feeling amazing a SNAP! Whatever your day calls for a moto jacket can easily be dressed up or down. If the weather was warmer I would showcase ways to wear it with a dress or shorts even... so we may have to revisit this one for spring. But for today I have six easy outfits featuring a Moto jacket for cool or cold days... depending on where you live. Let's talk about this moto jacket quick... I've owned this one for over a year. It's a great classic piece that you will own and wear for a long time. I found the jacket to be true to size, I am wearing a size small. Okay now tell me... which is your favorite look? I would love to know! Also head on over to my Instagram Stories today to see these outfits in action. And stay tuned for my next 6 ways to style post... soon these will start looking more spring-like and I can't wait!